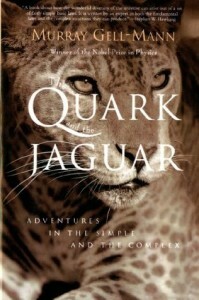 The Quark and the Jaguar, Murray Gell-Mann, Freeman, 1994, ISBN 0-7167-2581-9, $23.95, 392pp. I picked this up because I thought it was going to have some information about Ecuador (the Jaguar section) in it. It does–about one whole pages worth. The rest of the pages concern Gell-Mann’s ideas on the inter-connectedness of things. Gell-Mann, for those of you who don’t buy the Nobel prize-winning scientist collector cards, was the identifier of the Quark, that object that is smaller than what had previously been thought of as the smallest element (electrons are made up of a collection of quarks). 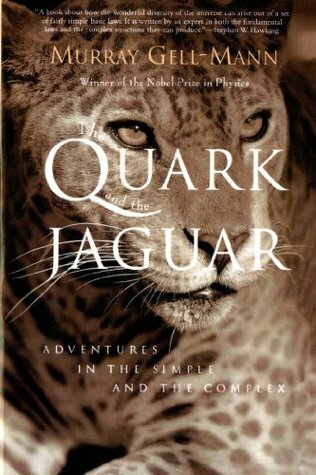 This book is interesting but rough slogging at times as Gell-Mann tries to give you an instant understanding of the last ten years of modern physics. This should appeal to fans of Richard Feynman and Douglas Hofstadter, although the style isn’t as smooth as either of them.